As it was established a mere 100 years ago, Tawau is considered to be a relatively young town in the grand scheme of Malaysian history. It is best known as a port town, as well as an industrial center thanks to its prime proximity to the border between Malaysia and Indonesia. The town’s major claim to fame is its prestigious place in the country’s cocoa industry. In fact, Tawau is currently ranked as the third largest producer of cocoa in the entire world. 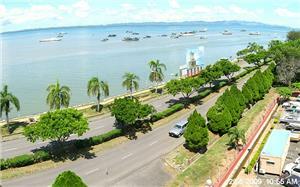 Tawau is notable to tourists and world travelers as a major gateway into the islands located off of the coast of Sabah. These include the picturesque Mabul Island, as well as Sipadan Island. The town is also considered to be a masterpiece of Malaysian urban planning, so it makes a wonderful vacation spot for locals, as well as a point of interest for tourists. Lush greenery, scenic coastal roads, and charming public areas add to a peaceful atmosphere of leisure. It is a popular midway stop between some of Malaysia’s more hectic urban cities and the tranquil, resort-like island settings nearby. Come experience a beautiful waterfront, historically significant mosques, and the breathtaking Tawau Hills National Park. Choosing how to get around once you reach your destination when traveling abroad is not always an easy process, especially if you’re unfamiliar with the area. However, if you’re planning on visiting Malaysia, you would do well to consider bus travel to Tawau and the surrounding areas. Not only is Tawau bus travel a simple way to hit all your points of interest while in the area, but it’s a convenient and very economical way to travel from city to city as well. Bus travel in Tawau is also the right choice from an eco-friendly standpoint. 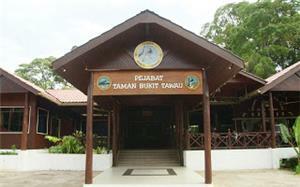 For more information about Bus to Tawau, check out details from us today!